What is a DMOTE? Depending on where you come from, the word DMOTE itself can lead to a plethora of pronunciations. But in the graffiti community, there is no confusion of what it is, or rather who! 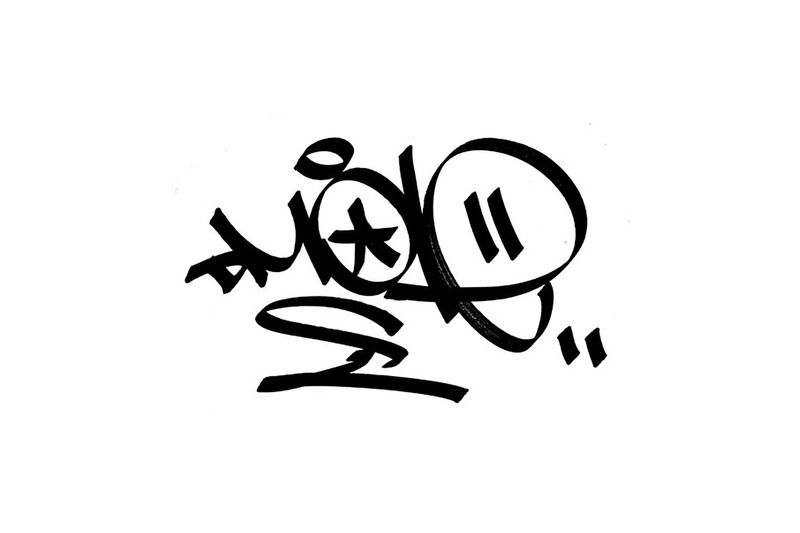 DMOTE is a globally respected Australian born artist who works and resides in New York. 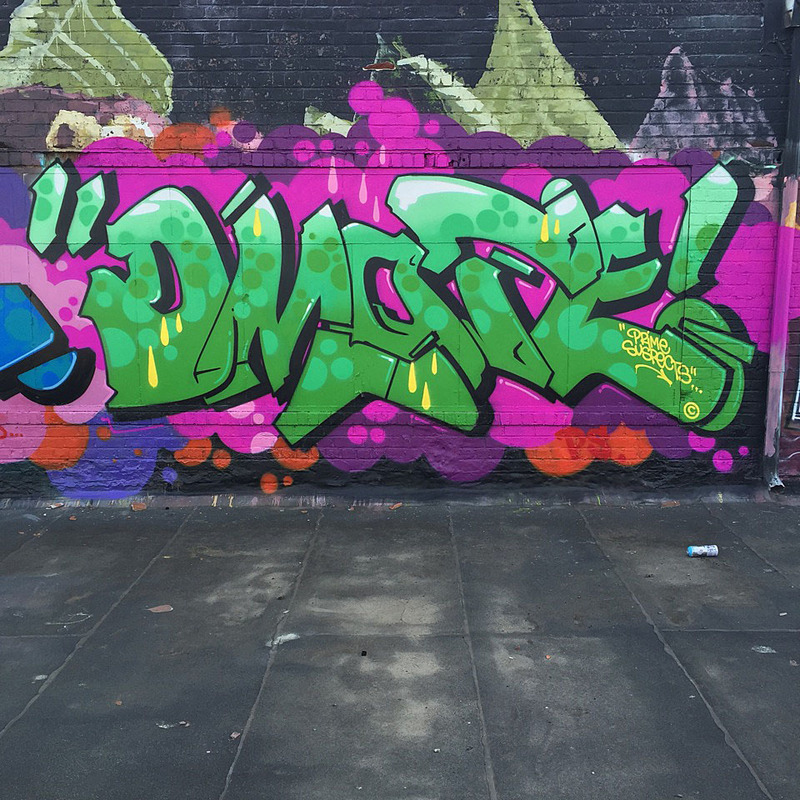 With a footprint that spans the globe, DMOTE has left reminders of his artistic existence on nearly every continent. 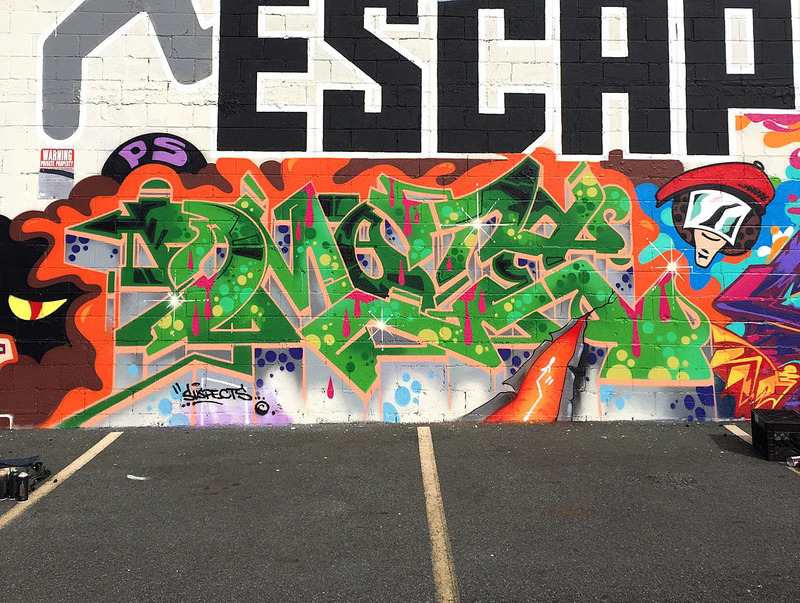 Mosquito bites maybe, but his influence and visual reach has left large aesthetic scars on the streetscape of the world graffiti scene. 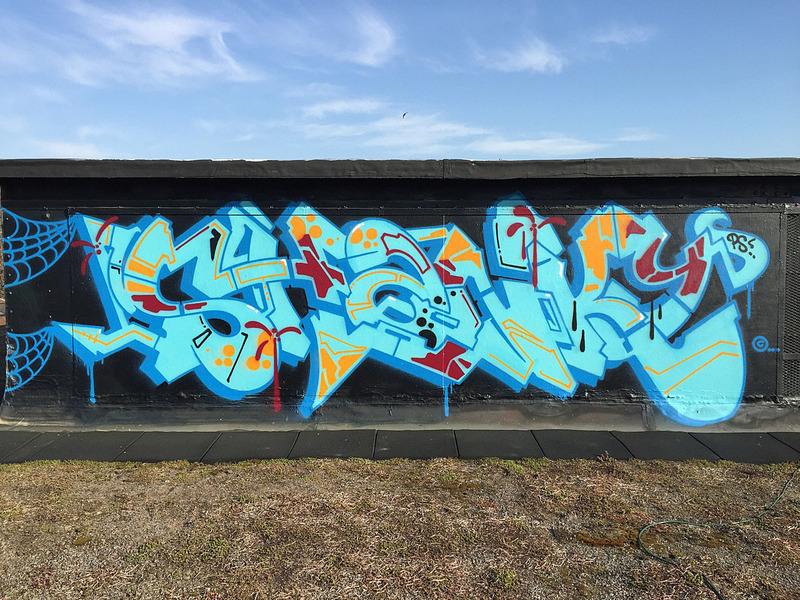 With his strong graphical senses and his hard working ethic since the mid 80’s, DMOTE has come a long way since his humble beginnings in the suburbs of Sydney. 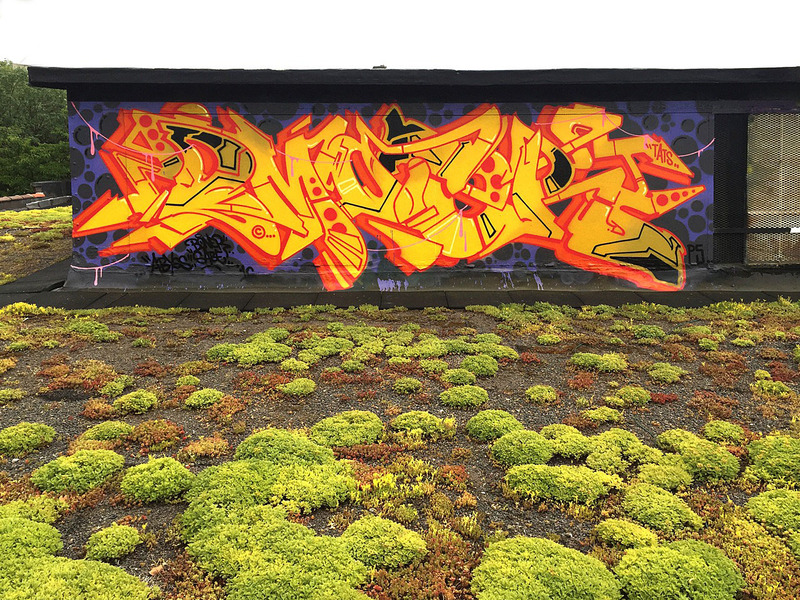 Embracing all sides of the visual spectrum, DMOTE has managed to transcend the energy of his miss spent youth doing graffiti and expand into the fields of design, illustration, painting, curation and fine art. Unlike many before him, he has managed to keep the thread strong and tight between graffiti and the “other” forms of art he practices. The result is an uncompromisingly strong visual presence with its integrity firmly intact, both feet in the street. -What brought you to NY and what keeps you there? I came to the US 9 years ago to work for lifestyle brand RVCA I still work for RVCA, my choice to live in nyc came about by fate and I’m still here. -With what thoughts or goals in mind did you go about creating your design for the Montana Artist Edition can? Montana-Cans are the best designed and produced cans on the market this was my first thoughts, ok we actually have possibilites here to create something great, we can use varnishes and spot colors and different techniques to get the best out of this project, I wanted to present my art/drawing sense of color and design to this surface and end up with an even marridge, a product that represent us both equally. -Steel or bricks? Canvas or paper? Well the grass is always greener, I like to paint everything so I don’t have a favourite, coming from a train painting history and city that will always be in my DNA, and the longer it doesn’t happen the longer it becomes a want and need to do another one. 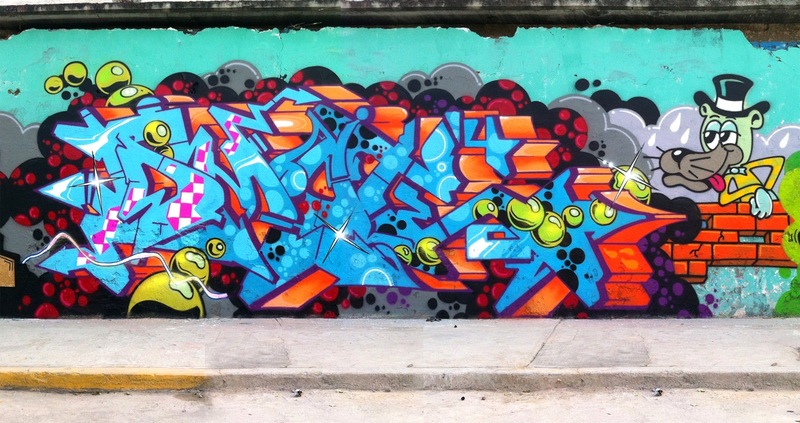 -Where would you like to see the future of graffiti going? What I would like is unrealistic, I’d like to see the style and letters be more recognised but that I don’t think will ever happen, lettering it so confronting and alienating to the people, you have to make an effort to understand it, and most people arent going to do that, I think its a good thing that this part of the movement stays underground and un accessable, this is the credibility of the artform, I guess id just like the future of graffiti lettering to keep growing that looks like it’s happening. -When you’re not painting or creating, talk us through a day in the life of Dmote. Everyday I am working on something either drawing, designing or making paintings, between this I eat, sleep and excersice, hang out with my GF. -The unobvious/obvious question, where did the name DMOTE come from? I’ve told this before but ill tell it one more time, when I started the guy I looked up to in or neigbourhood was a famous dude but had several side names that he got up on the trains with, two of them were DMISE and MOSKE, he started small and finished with this big round lower case E, this was very Sydney 87′ I wanted a name that looked like that so I chose DMOTE and started small and finished with the big lower case E! -What are your favourite places in the world for both painting and not painting. My greatest graff trips were to Croatia and Sarajevo in 97 with SHARK and KSINO, that was just an experience, we were the first writers to paint in Sarajevo now they are having their 20 year anniversary, I always wondered if and what was going on there until only this year I was contacted by the first generation out there, was cool to hear. I love Italy and Copenhagen is very cool and has a great history of good writing.